Of this very little known variant of the Leica Ig perhaps only 100 were built. It differs from the standard Leica Ig by the missing flash synch and the slow speeds, since these were not needed in the specialized use of the Repro. The Ig Repro was meant to be used on the Reprovit II with a magnetic triggering device AMTOO (cat. 16777). The flash synch was accomplished with the camera set at “B” and a special cable release connected to a special, magnetic trigger would set the shutter speed automatically via a timer. For easier film and shutter winding, the special winding knob AQOOT (cat. 14014) was installed (see photo). 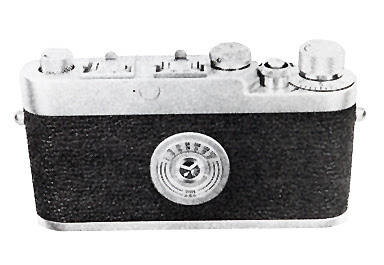 This version of the Leica Ig was sold in 1958-59 only to the industrial market. It is unknown to the author if any Leica Ig Repro cameras were offered on the collectors market in recent years, so it is impossible to establish a current market value. It is safe to assume that the price would be very high indeed if a Leica Ig Repro should be offered for sale. Leica Ig Repro (front) with the special winding knob attached. 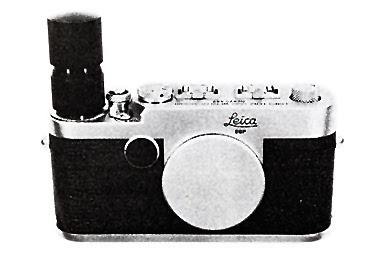 Leica Ig Repro (back). Note the absence of the flash synch outlet.